Land Lines The Hollywood Reporter recently put out an issue featuring the best 100 lines in movie dialogue as ranked by various producers, actors etc. This came about just after I finished giving a note to a writer about their moments needing the space to land. A note, I’ve been giving far too often lately. The image is an excerpt from the article, that features a line that certainly made the list. 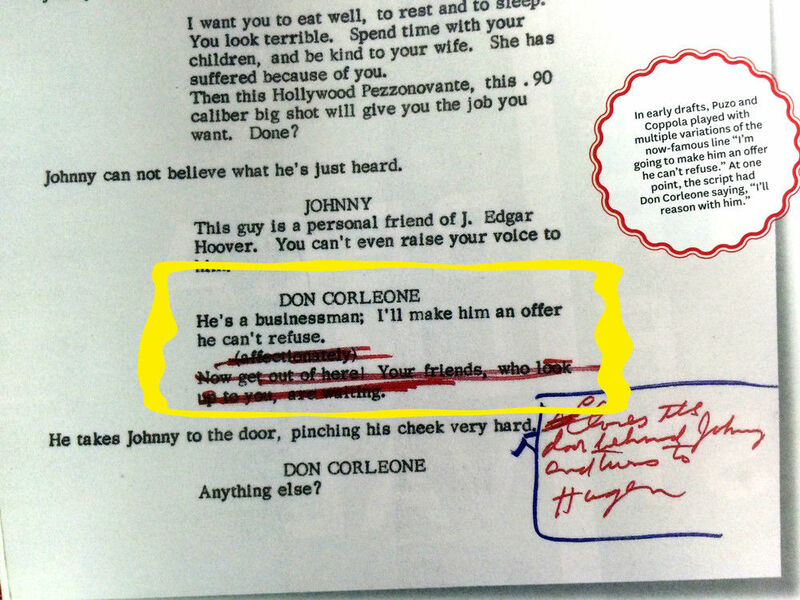 Looking at the famous, “I’m gonna make him an offer he can’t refuse,” see how the second line was scratched out? That let’s Marlon’s line not only land, but stick the landing. And it’s not just with dialogue that this sort of editing is crucial. All too often, important actions (as well as good lines of speech) get buried in way too many lines of unnecessary text. Undermining the impact. Give your moments the breath they need on the page, and they will garner the attention needed to land and become memorable. And may your writing get an offer you can’t refuse. 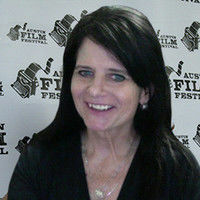 Do you have a link to that article, Laurie? Also, this tip strikes me more of an editing or directing choice? Sometimes no matter how hard you analyses your word choices, the lines can easily become redundant once you actually filming the moment. More valuable advice from Laurie. I never thought of that. Thanks a million.